For the last 2 years, Egi Wahyuni opens a Saturday class for the local children of Gili Trawangan to learn about the English language. The class starts at 1 pm and ends at 3 pm. During that time Egi found that the community and the local children have lack of knowledge about the environment. They were buying water from plastic bottles, packing their takeaways food with plastic, and burning their household trash. The children also have less knowledge about sea life such as the turtles, fishes, and coral reefs. Egi wants children at Gili Trawangan to learn about the environment from the animals, nature, and how to treat them properly. 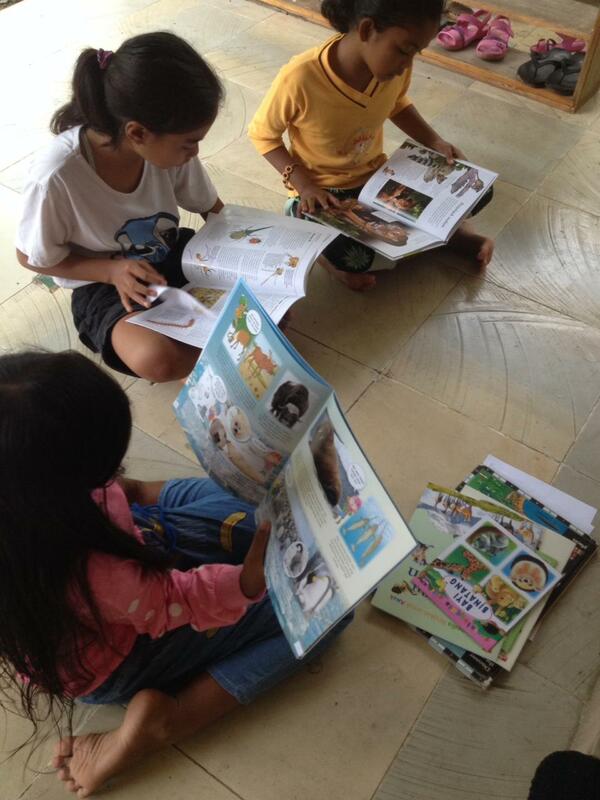 The children can learn from the surrounding environment of Gili Trawangan. 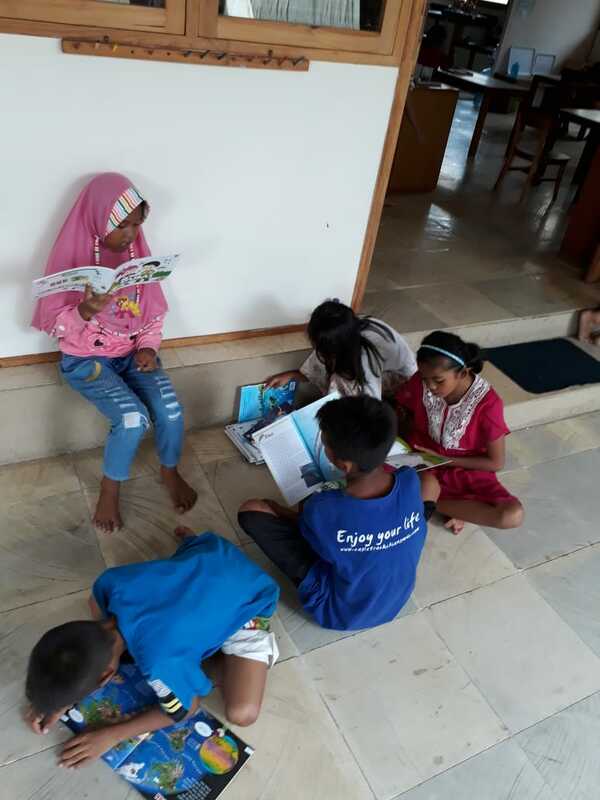 Now, working together with the Gili Eco Trust volunteers, the Saturday class moved into the Friday class where the local children are studying with the expat students of Gili Bumblebee about the environment and how to protect it. From beach cleanups, waste management, recycling activities, to bring your own water bottle campaign, all activities are being held in fun ways. 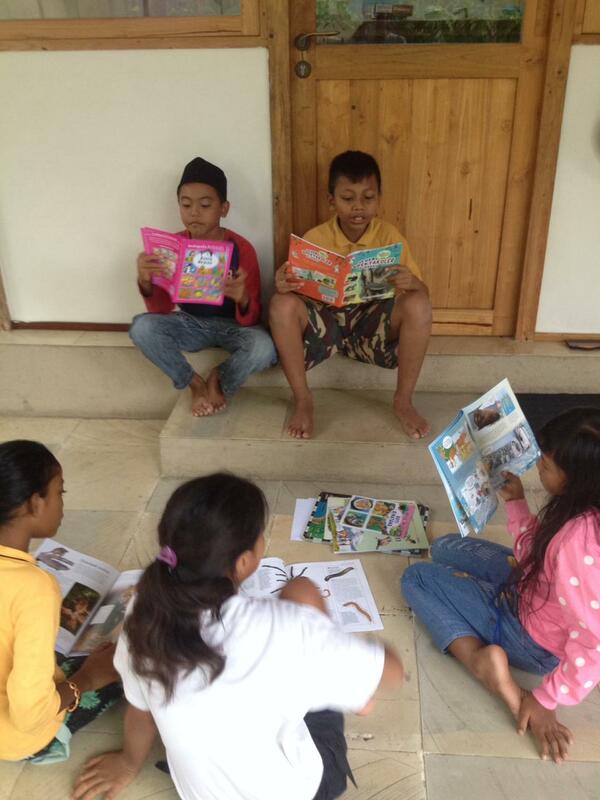 Egi believes that her program will give more benefit to the children of Gili Trawangan and its community with the support from Green-Books.org. 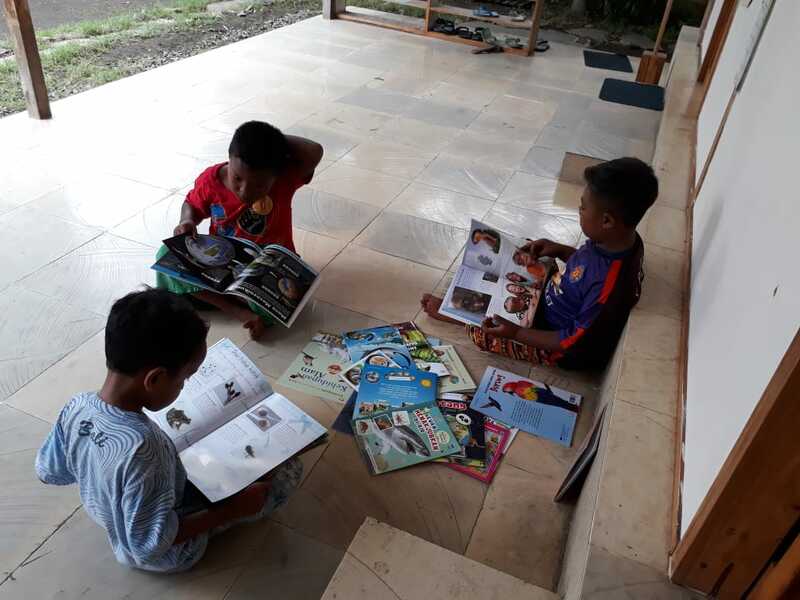 With environmental books and eco-activities, the children and the community will be able to learn and develop their awareness about the environment.